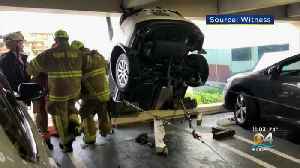 A woman was pulled from a dangling car on the side of a parking garage in Miami Springs on Thursday afternoon. 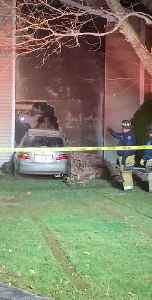 A group of policemen and fire crew was trying to pull out a car that had hit a building and broken its wall. They were trying to tow the car out using a cable when the wall came crashing down on it..